watercolor is far and away my favorite technique to play with and this card is completely inspired by the super talented kimberly wiener and the card she made for essentials by ellen may pin-sights challenge (see it here). 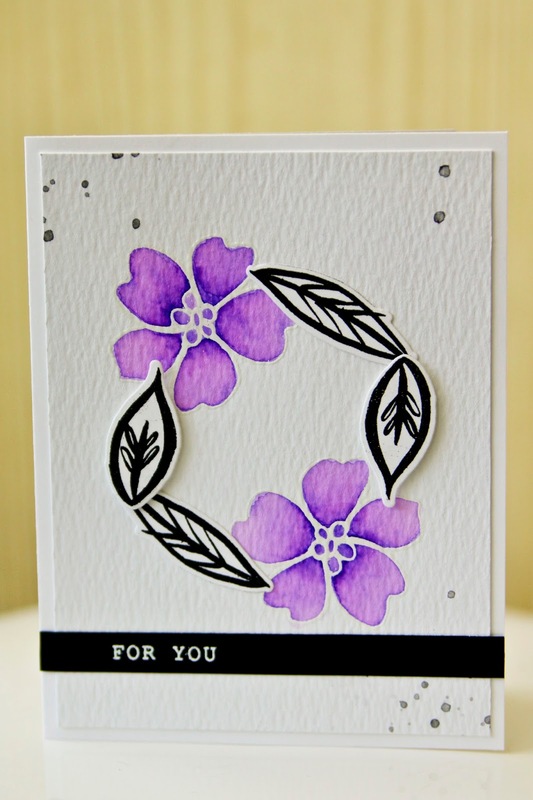 i stamped the flowers in versamark and embossed them with white detail powder. then i colored them with clean color real brush markers and added water to blend. 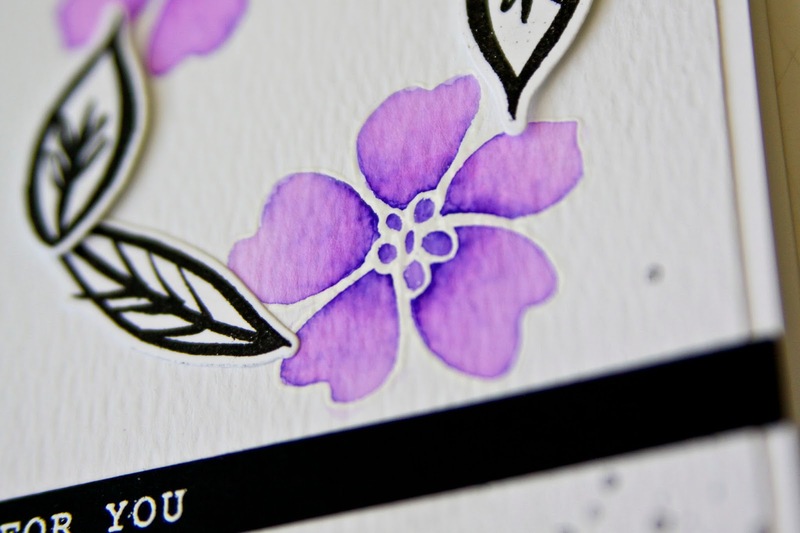 i stamped the leaves in versafine and die cut. i adhered the larger leaves with flat adhesive and the smaller leaves with foam adhesive for a little more dimension. i added a little black ink splatter because i love splatter! and i embossed a sentiment on black cardstock to finish the card.